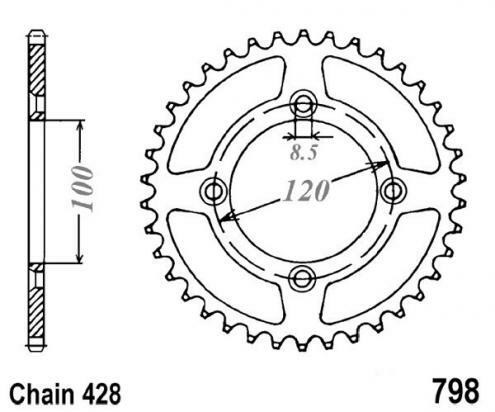 The picture below shows a Sprocket Rear Plus 3 Teeth - JT (Check Chain Length). Thousands of other top quality spares listed on our website at refreshingly low prices. JT are the only manufacturer to use ultra-durable high carbon C49 steel for their motorcycle sprockets. This is a higher carbon steel than the typical C45 steel used by other manufacturers (including original equipment manufacturers) and so is harder and stronger than many other sprockets on the market.